The Journal article pointed out that, “Trade contributed strongly to the economy’s performance. 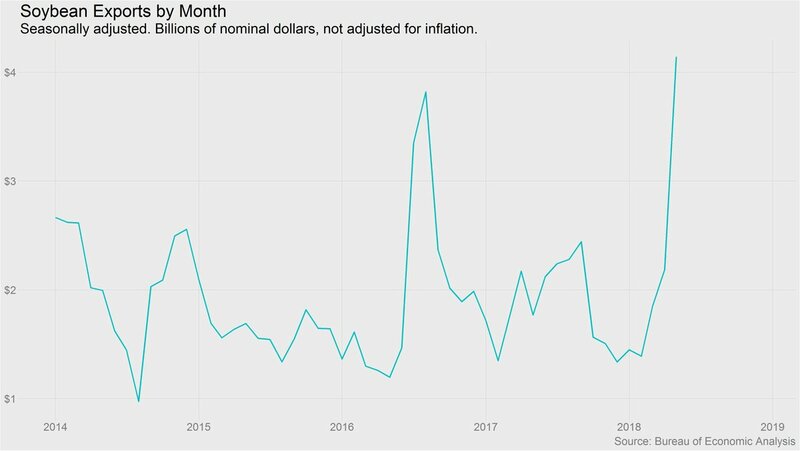 Net exports added 1.06 percentage point to the second quarter’s 4.1% GDP growth rate, which likely reflected a surge in soybean exports as buyers abroad rushed to get their supplies before China’s 25% retaliatory tariffs on the U.S. crop hit in July. Graph from New York Times writer Ben Casselman via twitter (@bencasselman). 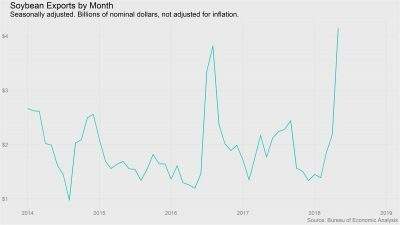 Bureau of Economic Analysis (July 27, 2018). The trouble is, China last year imported $12.3 billion in U.S. soybeans, the EU just $1.6 billion. 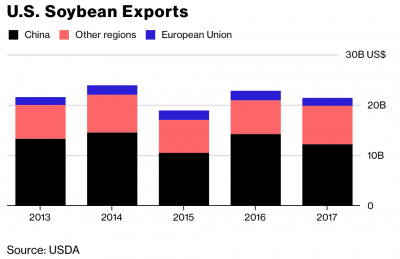 “Europe’s Vow to Buy More U.S. Soy Won’t Make Up for China Losses,” by Alan Bjerga and Isis Almeida. Bloomberg News (July 26, 2018). 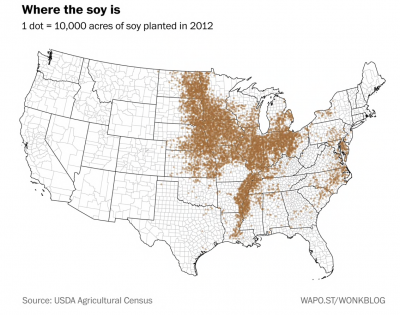 “Soybeans, explained for the agriculturally impaired,” by Christopher Ingraham. The Washington Post (July 26, 2018). 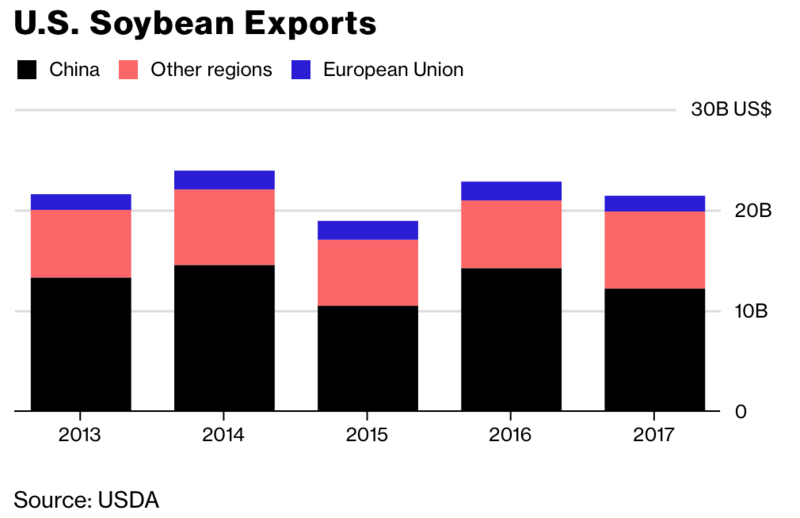 Mr. Kudlow stressed that broad discussions on agriculture will be part of the bilateral talks, underscoring a gap with Brussels, which has vowed to keep the sector off the table.